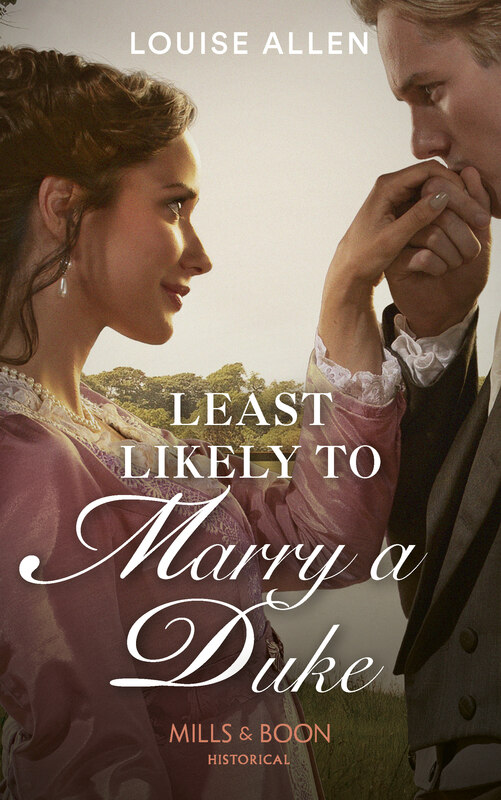 For those who are fascinated by the past, or who write about it or who just want to reach out and touch history – I have a recommendation for you – The Landmark Trust. I’m just back from a stay in one of their properties – Calverley Old Hall in the village of the same name just outside Leeds. This ancient manor house is now stranded in the middle of 20th century development which only added to its air of faint melancholy and mystery. The part of the building we were staying in was built at the time of the English Civil War, so we spent our evenings beside the massive hearth dating from about 1640 (see below) or enjoying a bottle of wine at the long table under the beams. But that’s not the best bit – part of the building goes back to 1300 and there’s a 15th century Great Hall and chapel (seen above) and a heart-wrenching story about a father who, in 1604, lost his mind and killed his two sons (and came to a dreadful end). True, the older parts are only viewable from the outside and through the windows, but the entire place was priceless for firing this writer’s imagination. The Landmark Trust specialises in saving historic buildings which have lost their purpose and, in some cases, almost their hold on existence. They restore what they can and convert, with integrity, the building as holiday accommodation. There is no TV or radio, phone or wifi, just peace, atmosphere and a well-stocked library relevant to the location. The decoration and furnishing is true to the building as well, with a seemingly endless supply of characterful antiques and near-antiques from their store. Lock Cottage (below), built 1790/1815 on the Worcester and Birmingham Canal, has a wheelbarrow provided to transport luggage and provides all the entertainment of watching the passing holidaymakers negotiating the flight of locks with various degrees of skill (and colourful language). Iron Bridge House (about 1830) is right at one end of the famous Iron Bridge. It is the building right in the middle of the picture. There were lovely glimpses of the river and close-ups of the bridge itself as you can see through the right-hand living room window. Then there was Beckford’s Tower overlooking Bath with spectacular views from the top of the tower, all 276 feet of it. Built by eccentric connoisseur and collector William Beckford it was later given to a Bath church as a graveyard, so one could lie in bed, or in the bath on the ground floor (middle window), and virtually read the gravestones. A little macabre perhaps, but no ghosts were encountered. The living room (below) has been decorated in a colour scheme true to Beckford’s Regency taste. Finally we enjoyed the Prospect Tower, built in 1808 near Faversham by General, later Lord, Harris of Seringapatam as a folly and tea house. In the Edwardian period it became a changing room for the 4th Lord Harris who was an enthusiastic cricketer. It still overlooks the cricket pitch of his home, Belmont Park. There is something very special about living in ancient buildings, I find. Partly it is the tranquility and the lack of modern distractions so my mind can wander freely, part is the thrill of imagining the past inhabitants who looked out of this window, or huddled round that fire in flickering candlelight or gazed out over that view. Why not give it a try? The Cruickshank print for October shows the end of the summer for Londoners – the return home from their holidays, probably at the seaside. One party are disembarking from a mail coach on the left while on the other side a family are getting out of a hired post chaise. 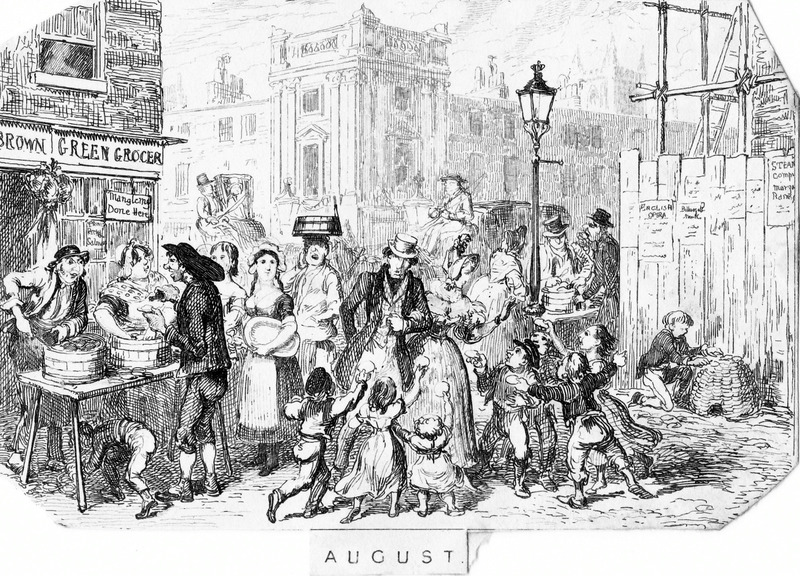 The new season is indicated by the man selling a pheasant in the centre and the poster for the start of the Theatre Royal’s winter programme. 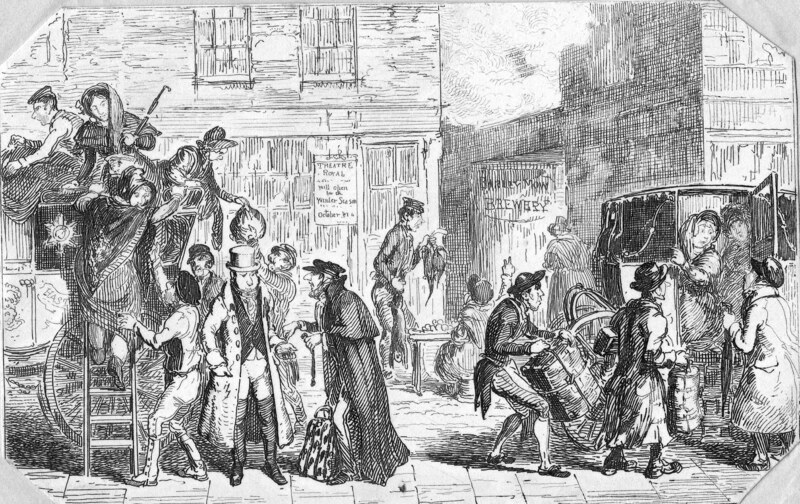 These travellers are very much of the ‘middling sort’, respectable tradespeople or perhaps lawyers or merchants. A decade or so before and they would not have dreamed of taking a holiday – that was reserved for the upper classes and aristocracy, people with an income they did not have to work for, and ample time on their hands. But times were changing and improvements in transport, as well as changes in society, meant that the middle classes could manage to get away to perhaps Margate or Folkestone or one of the other growing resorts along the South and South East coasts. The sun has set of Scarbro’s day. It Is August In London – Eat Oysters on Oyster Day or Run Away to the Seaside? In the scene working people queue up at two trestle tables to buy oysters. The vendors are opening them and on the left we can see a coal heaver or dustman, distinguished by his hat with a protective neck flap, pouring some kind of relish or ketchup over his. A small boy is rummaging under the trestle for empty shells and on the right one lad is building them into a construction while other children holding up shells mob a respectably-dressed couple begging for coppers. An article in the Illustrated London News of 1851 explains what must be happening. Of course, you might choose to leave the heat and dust of London in August (to say nothing of the smell of discarded oyster shells) and go to the seaside. Brighton, Margate and Ramsgate were closest (if one leaves aside Gravesend, which even in the Georgian period was getting a reputation for being somewhat rough). 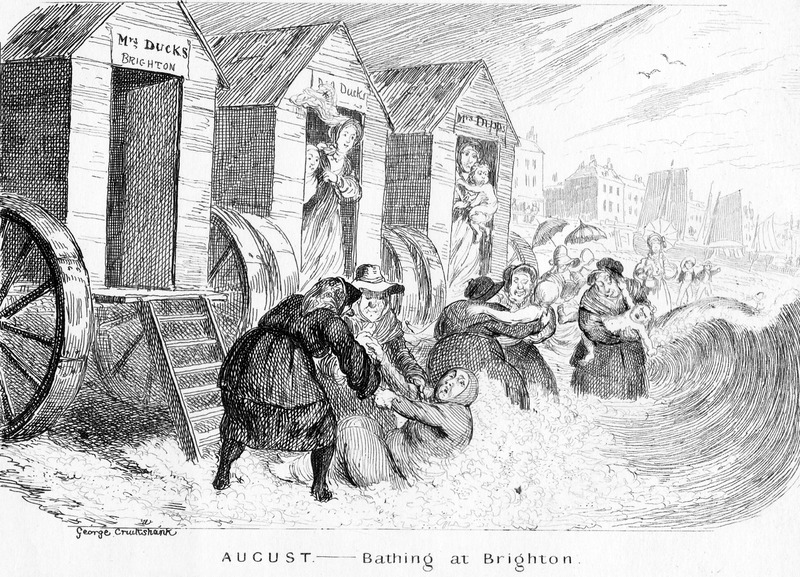 Cruikshank has chosen to show bathing machines at Brighton with four burly female “dippers” dunking their quailing customers in the sea. The machines have boards showing the names of the dippers – two for “Mrs Ducks” and one for “Mrs Dipps”. In the foreground a lady is entirely enveloped, head and all, in a flannel “case” while in the middle two dippers are about to plunge a slight figure – a teenage girl perhaps – in backwards. A furious baby is getting a relentless ducking at the far end. The Margate design of bathing machine, invented by Quaker Benjamin Beale, had a hood which came down to shelter the bather’s modesty, and perhaps divert some of the force of the waves, but these were not used at Brighton. 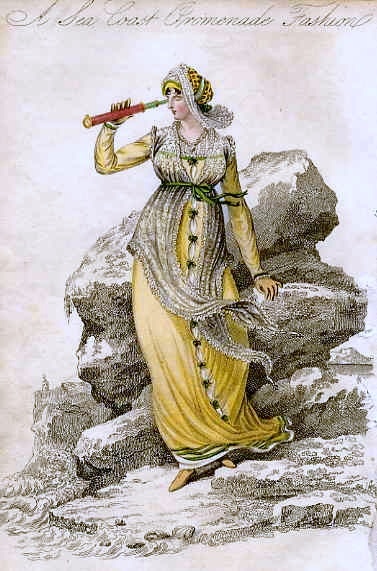 Although the seaside holiday is often thought of as a Victorian invention they were very much a feature of the Georgian scene for those who had money and leisure. By 1800 every English county with a coastline had at least one seaside resort. Brighton is perhaps the most famous example, but it was by no means the first – Scarborough probably has best claim to the title, although Margate and Brighton were close behind and all three were flourishing in the 1730s, long before the Prince Regent made Brighton notorious. Brighton did have the benefit of closeness to London that Scarborough did not. 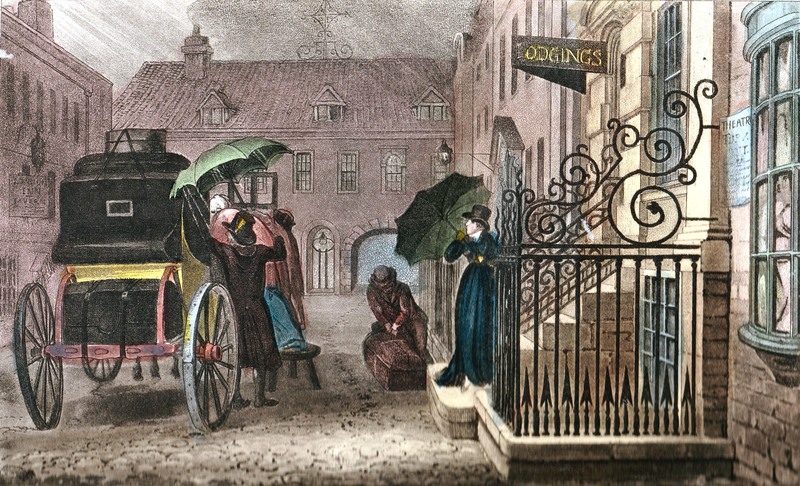 In 1821 Dr John Evans remarked on stagecoaches doing the journey in six hours and predicted that balloon travel would reduce it to four hours in the future and in 1823 Cobbett wrote of “stock-jobbers…[who] skip backwards and forward on the coaches, and actually carry on stock-jobbing, in ‘Change Alley, though they reside in Brighton.” In 1834 four hundred and eight passengers arrived by coach in Brighton in one day, and 50,000 were recorded for the year.